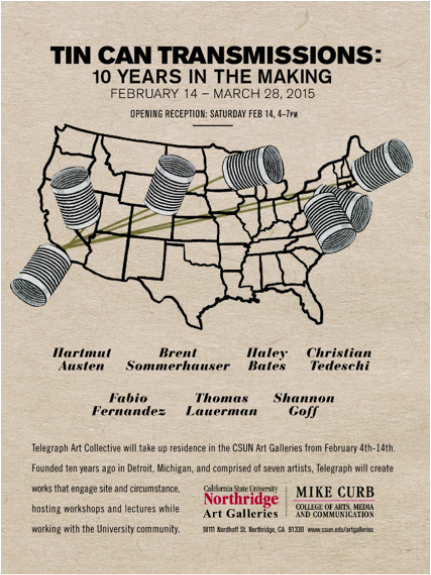 The artists of the Telegraph collective are Tom Lauerman, Shannon Goff, Christian Tedeschi, Brent Sommerhauser, Haley R. Bates, Fabio Fernández and Hartmut Austen. The artists originally met in Detroit but have since moved to various cities of the United States. Since 2004, Telegraph has been creating interdisciplinary exhibitions, projects and events in various cities and venues of the United States.